The Southern Bank offers Invoice Factoring to businesses through our altLINE program. Experience the flexibility of an independent factoring company, but with the affordability and stability of an FDIC insured bank. When a traditional line of credit doesn’t fit your current business needs, factoring may offer the flexibility and access to capital you’re looking for. 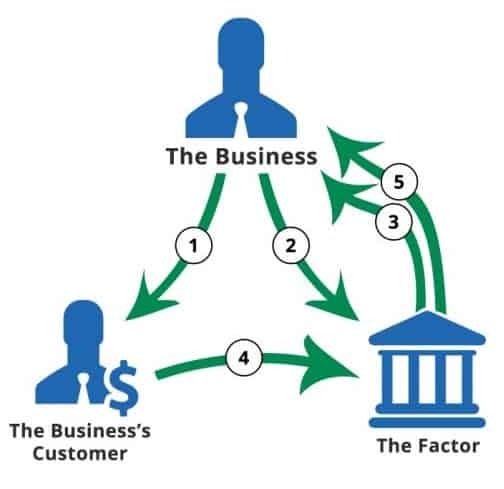 The three parties involved in a factoring transaction include the factoring company, the factoring client, and the client’s customer. Rather than waiting 30 to 60 days to get paid by their customer, the factoring client sells the invoice and the right to collect payment on that invoice to the factoring company. In return for receiving payment for the invoice upfront, the factoring client pays a fee to the factoring company in the form of a discount on the face value of the invoice. With hundreds of factoring companies to choose from, learn more about how we do things and the benefits of invoice factoring with a bank. Result: The Business accesses cash quickly, rather than waiting for the Customer to pay. 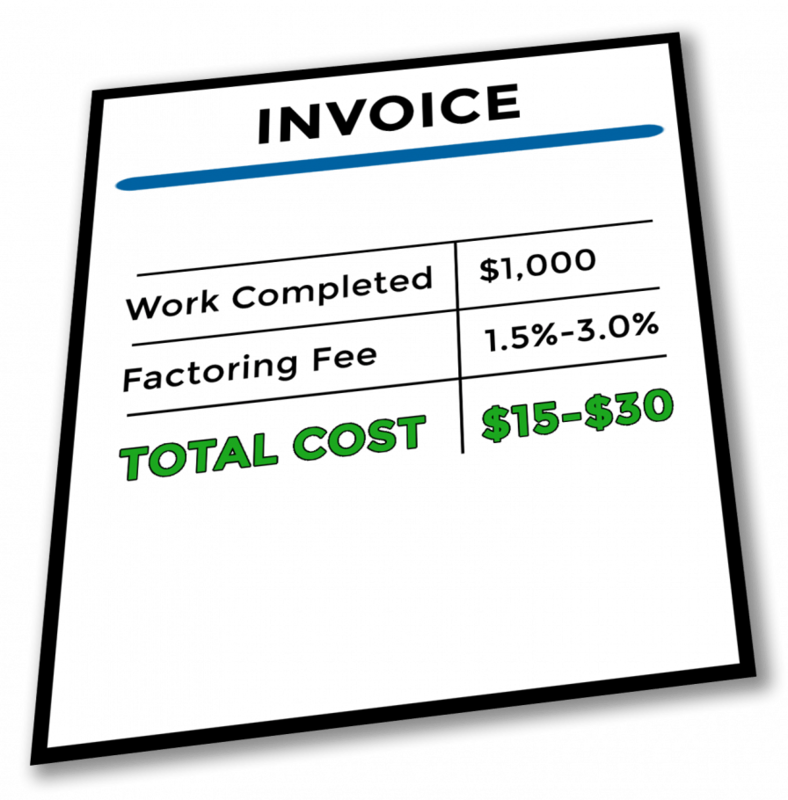 Is Factoring Invoices Right for My Business? Utilized correctly, factoring can help a company accelerate growth or navigate a seemingly insurmountable cash crunch. Factoring isn’t right for every company however, and knowing whether it is a fit for your business can be difficult. Are the invoices I intend to factor being billed to companies and not individuals? When the invoice is issued, has the product or service been delivered or completed? Am I willing to accept 97% – 99% of the invoice value in order to receive payment today? Phrased differently, is there enough margin in my product or service to factor? Is Factoring the Right Fit? 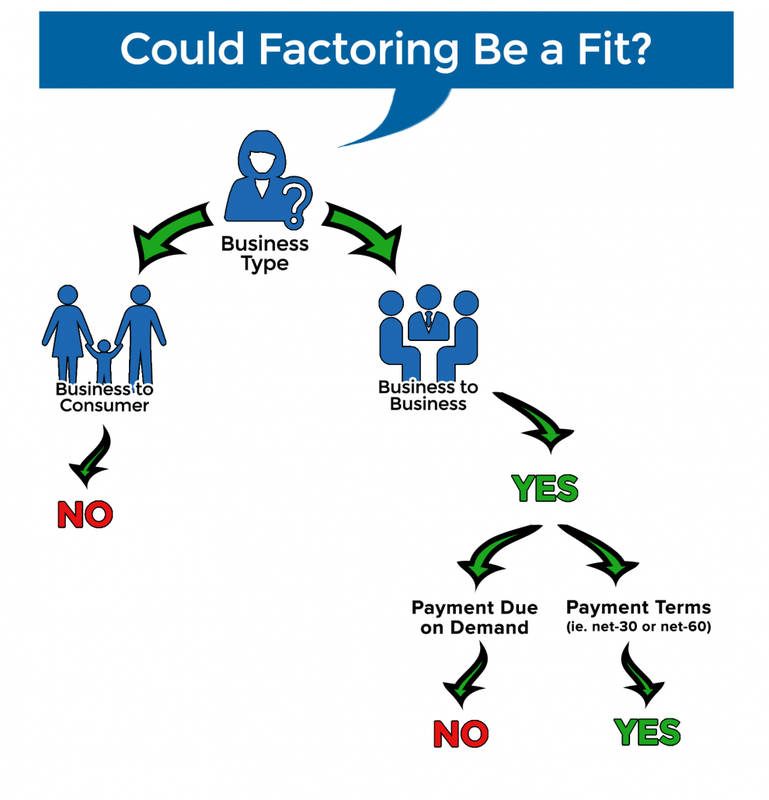 What are the Costs Associated with Factoring? Unlike a line of credit which employs an interest rate to calculate borrowing costs, invoice factoring utilizes discount rates. These discount rates are applied to the face value of the invoice and typically vary based on the length of time a factored invoice is outstanding with the rate or fee increasing as the invoice ages. When it comes to establishing a fee structure, factoring companies have a great deal of price flexibility. The primary reason for this flexibility is the general lack of information in the marketplace as to what typical factoring costs should be. Factoring fees are primarily dependent on three variables; the volume or expected dollar amount of invoices to be factored, the length of time the factored invoices are outstanding, and the general credit quality of the customer responsible for paying the factored invoice. Bigger customers often come with bigger potential for revenue growth. For one small business, the new contracts and longer payment terms required the need to revisit their financing relationship and to determine whether or not their current factoring company remained the best fit. It’s not uncommon for commercial landscaping businesses to face cash flow crunches. Government buildings, retail centers, office parks, and apartment complexes offer large revenue opportunities, but the longer payment terms that accompany these contracts can put a severe strain on a business. 30, 45, and 60 day payers can restrict a business’s cash flow and its ability to make payroll, buy materials, and sustain operations. In order to bridge the gap, a small but rapidly growing landscape business turned to factoring. The decision to utilize factoring was a smart one, helping the business accelerate cash flow, take on new contracts, and grow rapidly. However, as they grew, their current factoring company was unable to keep up. Looking to save money and find a financier that could meet their increasing capital requirements, the landscape business made the move to The Southern Bank’s altLINE program. With altLINE replacing the previous factor, the commercial landscaping business reduced their annual financing costs by 38% and increased their line size by 50%. More importantly, the landscape company was able to take more control of their business by bringing the invoicing and receivable collection responsibilities in-house. This renewed ownership over the back office greatly reduced billing errors and friction with the landscape business’s most important asset – its customer relationships. As a bank-led program, altLINE is able to do things a bit differently. Click here to learn more about the benefits of invoice factoring with a bank.